Nothing dominates the indoor soccer game like speed. The ball travels faster, and so should you. The Nike Youth Mercurial Victory IV indoor soccer shoes deliver that speed in the super lightweight design. The synthetic hugs your foot, creating a tight bond for maximum ball control. The tread pattern creates the traction and friction needed for acceleration, cuts and turns. And to top it off, the Volt/Bright Citrus color scheme blazes the colors inside of the minds of your opponents. The Victory IV indoor soccer shoes will give you all that plus much much more. This ultra lightweight shoe will help your indoor game soar to new levels and will get you noticed for all the right reasons! 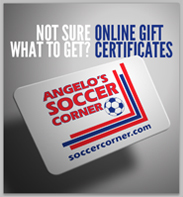 Pick up your pair today at soccercorner.com! Upper: Soft, supple synthetic upper for great ball feel. Contoured last mirrors the foot shape. Midsole: Innovative Nike Jr. Support sockliner does mirror the natural junior athlete's foot shape and provides great support and low-profile cushioning. Outsole: Molded rubber. Innovative Vapor traction pattern designed especially for speed on indoor surfaces. A lightweight performance boot, built for the junior player for use on court surfaces. 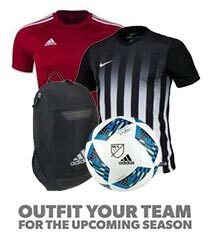 While your here, take a look at our entire collection of Indoor Soccer Shoes. SoccerCorner is your home for all your Nike Youth Mercurial needs!